We cover residential property Lettings and Management throughout the Bristol, South Gloucestershire and North Somerset regions, including Clifton, Redland, Henleaze, Westbury Park, Stoke Bishop, Westbury On Trym & Bishopston. Due to our continued success, Maggs & Allen are actively seeking new landlords to satisfy tenant demand. Maggs & Allen have a successful and dedicated Lettings team with over 50 years of combined experience who can offer a range of services to suit all landlords, from Investors with large portfolios to individual landlords with one or two properties. We are able to tailor our service to meet your requirements and would welcome a call today to discuss exactly what we can do for you. How will you, as a letting agent, value the potential rent of my property? An experienced and qualified senior member of our lettings agency will visit your property to undertake a rental valuation. They will discuss the potential rent and also offer advice on how the property could be improved to maximise the demand, should you require. Are Maggs + Allen letting agents regulated? We are Licensed ARLA lettings Agents and voluntary members of the property Ombudsman letting scheme, which means we have to adhere to their codes of conduct. 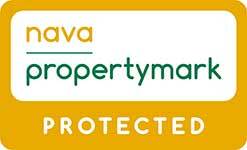 In addition we are members of RICS, NAVA as well as being NAEA Licensed Estate Agents. 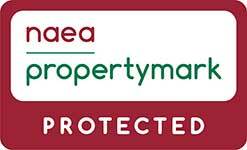 This should give our clients 100% peace of mind when using any of our property services. What Tenancy Agreements do you use? Whatever your requirements we will draw up a tenancy agreement that complies with all the relevant legislation to safe guard your interest. As a Letting Agent, will you reference Tenants? We will ensure that your potential tenants are professionally referenced and will offer advice accordingly at that time. We check affordability & employment, current landlord references, credit history, previous address history and character references. Can you provide an inventory of furniture, fixtures and fittings? Every property that is let should have either an Inventory or a Guidance to the Condition and contents of the property. We can undertake a professional inventory for you with a qualified Inventory clerk. Every landlord should have an inventory for each property, because this outlines not only what is in the property, but also what condition it is in. We will include photographic records as part of our inventory to safeguard the condition of your property. What should be included in the rent? Rent does not generally include: Gas, Electricity, Water Rates, Telephone Charges, Council Tax etc., but should be inclusive of Buildings Insurance, Maintenance costs and ground rent. Obviously inclusions and exclusions can differ from property to property and will offer advise specific to your requirements. Under current legislation landlords are responsible for all repairs to the property and its contents except when a repair is necessary due to a tenant's misuse. If we are managing a property we will arrange for the work to be carried out by one of our approved contractors. Landlords are responsible for insuring Buildings and their own contents. We strongly advise you discuss your letting requirements with your insurer at the earliest opportunity to avoid any potential complications. We can put you in touch with specialist insures who can landlord specific advice. If you have a mortgage on the property you wish to rent you should discuss your intention to let with your lender as early as possible. Whilst in most cases consent is given it is worth checking to avoid any potential problems. What letting service should I choose? We offer a range of services for landlords, this depends on how much responsibility you as a landlord want to take on yourself. These services include full management and find a tenant service only. This will depend on whether you choose to let your property with or without furniture is really down to what type of market you are aiming to target. In most cases a tenant can be found within a very short timescale. At your initial meeting our letting assessor will offer professional and practical advice on how to improve you letting prospect and achievable rent. Throughout the process our fully trained and experienced team will be able to advise on your intended let. Our costs vary of the level of service you require and we will discuss this with you when you require. Our initial rental assessment is free of charge and we offer competitive rates based on the type of service you choose. All cost’s will be agreed with you prior to instruction to avoid any hidden surprises. If you are a landlord who has a rental property to let and are looking for professional lettings agent that covers Bristol, specialising in Henleaze, Westbury on Trym, Westbury Park, Bishopston and Redland, please contact us, we are waiting for your call. Tel - 0117 949 9000.